COLUMBIANA, OH- Congratulations to members of the Crestview Boy’s Track Team on their recent performances! Ethan Powell recently broke the 200m dash record of 22.5 set by Mitch See in 2007 by running a time of 22.46. 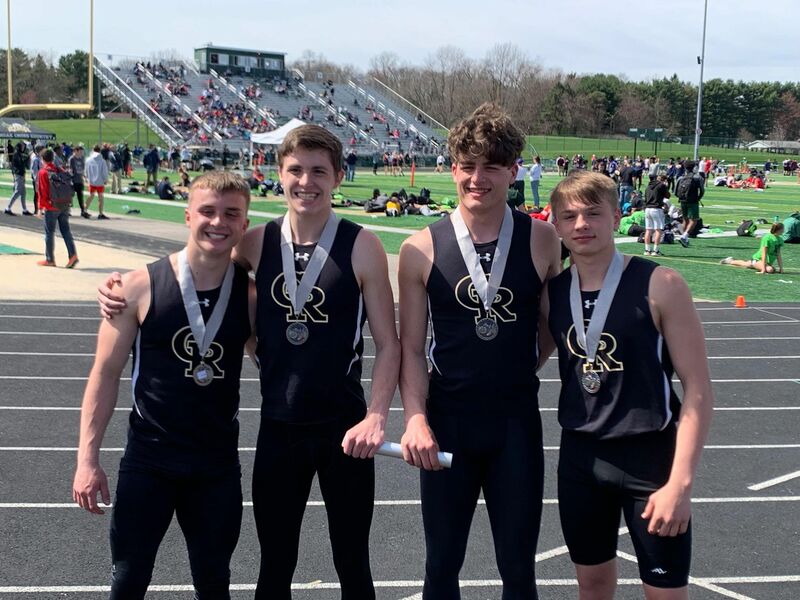 The quartet of Ethan Powell, Brandon Yanssens, Jayce Meredith, and Dylan Huff broke the school 4×200 record of 1:30.7 set back in 2011 by Nick Blower, Jacob Mellinger, Kris Simpson, and Kory Simpson by running a time of 1:30.26 and are currently ranked #1 in the state of Ohio in Division 3. Dylan Huff broke his own long jump record he set last year with a jump of 22 feet 5 inches. And a big congratulations goes to Dominic Perry for breaking his own record he set last season by throwing 62 feet 2 inches becoming the top thrower in the state of Ohio in all divisions, #1 all-time thrower in Columbiana County, and #19 in the NATION! Keep up the great work, gentlemen!